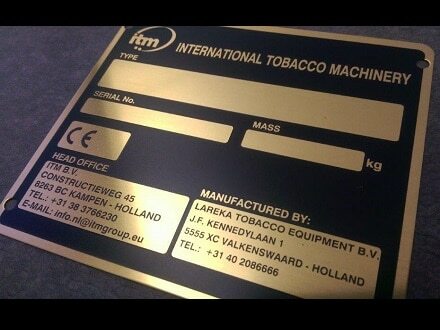 Brass signs are used in the construction of tanks and in the automotive industry. It is also welcomed as a highly decorative, unique sign in advertising and as a company sign. They can be etched, engraved, milled and printed. 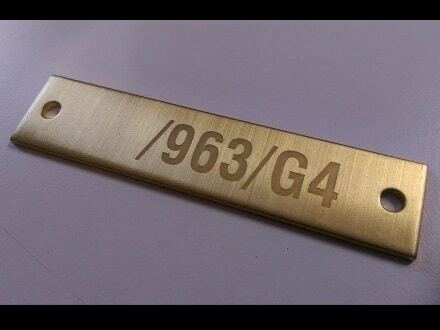 We use Ms 58 for the engraving and Ms 63 for the etching processes. An elegant result is achieved by the relief structure of the surface or with a blanc surface and sunken inlayed text. In certain cases a special, natural, dark patina can be achieved with bronze.